While Goebbels infamously declared Berlin "free of Jews" in 1943, 1,700 managed to survive in the Nazi capital. Claus Räfle's gripping docudrama traces the stories of four real-life survivors who learned to hide in plain sight. Moving between cinemas, cafés and safe houses, they dodged Nazi officials and a dense network of spies and informants. Yet their prudence was at odds with their youthful recklessness, prompting them to join the resistance, forge passports, or pose as Aryan war widows. 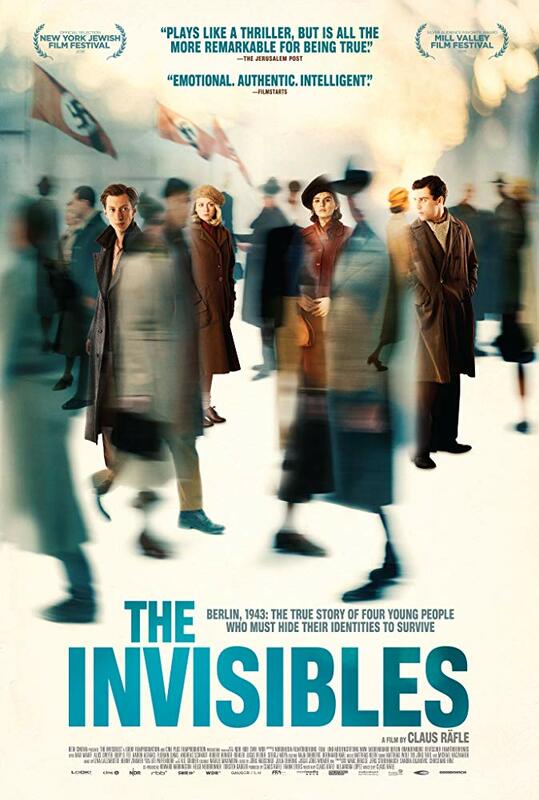 Masterfully weaving these story threads together, The Invisibles is a testament to the resourcefulness, willpower and sheer chance needed to survive against incredible odds.